"I personally believe, even if it takes a change to the law, the president should honor the commitment the federal government made to those people and let them keep what they got." 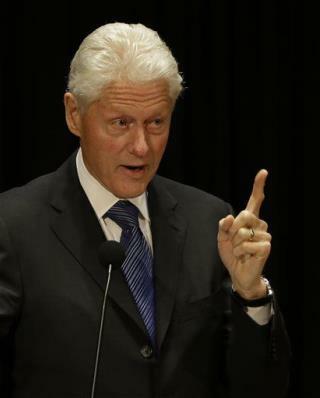 Bill is promoting the junk health insurance plans. Going backwards will increase the deficit again. Junk health gives you 2 doctor visits/year. Will a mother have to choose between cancer screening or her child's diabetes? Choose only 2 appointments if your teen son has a football injury. Anymore appointments you have to pay out of your pocket. Goof luck. For all of his sins and shortcomings, Clinton still runs circles around Obama. Clinton, at least, has learned from his mistakes. Can the same be said about the current occupant of the White House? Could the tone of this story be any more sympathetic to the president? Obama messed up and the compliant press words everything in his favor. 'False promise'. Really? If this were Bush that would be called a lie that has caused thousand of deaths from poor insurance. F ucking biased media.